A Retriever with a PLEX in its cargo? He would've been better served spending that month of game time catching up on his MinerBumping reading. Axel Plathe > CODE ALWAYS WIN!!!!! 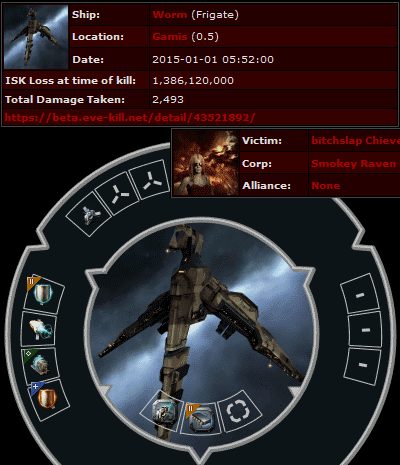 Don't feel too sorry for "new player" Kragthyk; his character is over four years old. Someone told Manny Gladstone that New Order Agents can't gank Skiffs. Someone lied. Nothing is beyond our power these days, especially when a Skiff pilot doesn't bother to tank said Skiff. Agents Xia Absent, Dekiranu, Salah ad-Din al-Jawahiri, and KoHfeTHbIu TpoLLb had little difficulty amassing the DPS needed to take out this menace to highsec. Instead of tank, the Skiff bulked up on expensive named mining upgrades. 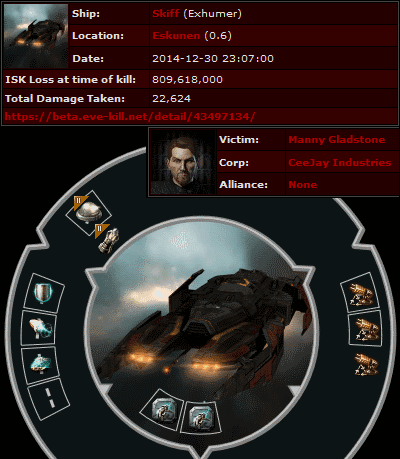 None of them dropped, but our Agents know that there's more to EVE than grinding isk. There's Code enforcement... There's lots of stuff. Anyone interested in a duel? Freighter pilot Ziiph saw little harm in accepting an invitation to engage in PvP with a lowly Venture. What Ziiph didn't realize is that an Agent of the New Order is powered by more than ships and modules; he has the Code. Agent Armin Soprano was up to the challenge of (slowly) tearing apart the freighter with a laser-equipped Venture. At the last moment, Armin was even thoughtful enough to invite Agents Ariadne Andenare, Xae Kae, hobosupreme, Nidalee Thiesant, Spine Ripper, loyalanon, Keraina Talie-Kuo, Krominal, LarcatOfZion, Cytheera, Honsou Blackblade, Kahvegi, and Chocolate Mooses to get in on the killmail. 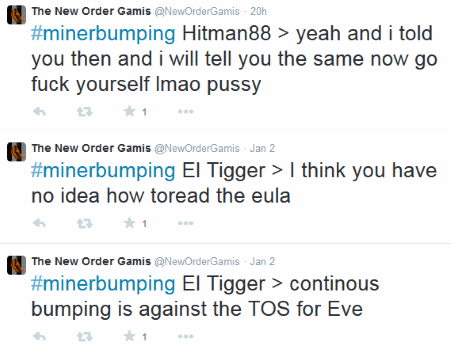 Judging by the @NewOrderGamis Twitter feed, carebears are still polluting that fragile system. 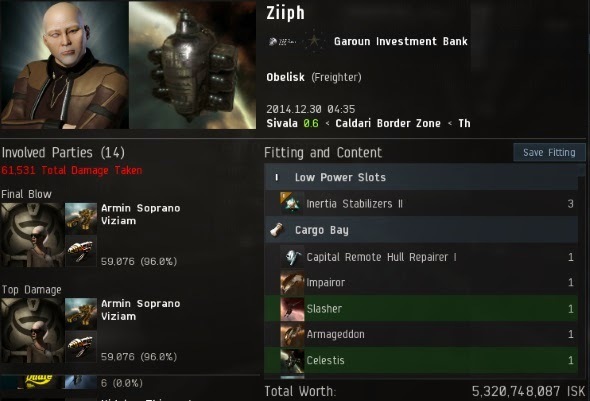 They even bring in their filth from nullsec alliances like CVA. Gamis was invaded by a no-good Worm piloted by a worm, bitchslap Chieve. Her bio, which could have been used to pledge loyalty to me, was as empty as her lowslots. 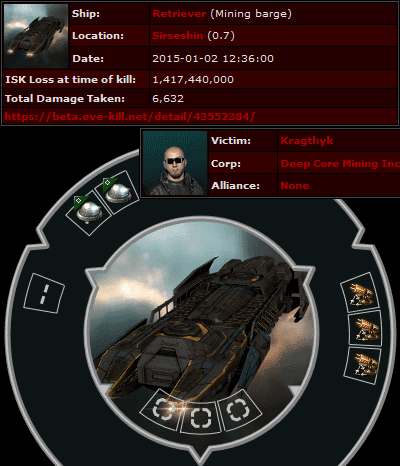 Agents Keraina Talie-Kuo and Krominal took care of her--costing the worm 1.3 billion isk in the process. Ouch! 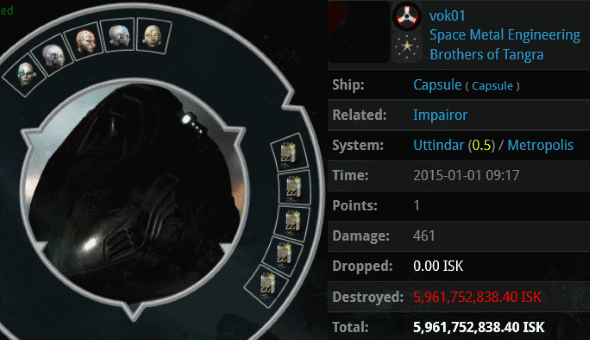 vok01 wasted about 6 billion isk on implants, which were quickly fried by Agent Posax's smartbomb cruiser. As it turns out, vok01 is a member of the Brothers of Tangra renter alliance, whose ticker is "B0T". Now, what those folks do out there in nullsec is their own business. But when they import their bot-aspirancy to highsec, it becomes our business. 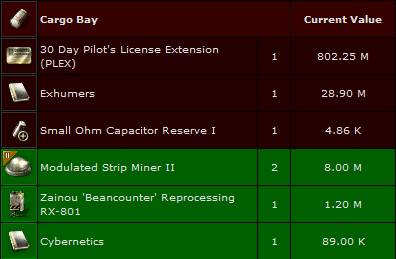 As for the carebears who live in highsec full-time, it's especially important to set a good example for all the visitors from lowsec, nullsec, and wormhole space. Let's make it our New Year's resolution to get everyone on the same page. Follow the Code. i suppose you can provide proof of this? The Code is the truth supported by righteousness. Using ellipses like that is the typing equivalent of going AFK while mining. Please rephrase using code-compliant punctuation, thanks. The previous commenter mentioned that James 315 rightfully cast proxy votes for all citizens of highsec, but describes it as his 'right'. While this is true -- being the Savior of Highsec has many privileges -- it would be more accurate to cast the issue in terms of a 'responsibility'. Truly, he has taken up the heavy burdens of all of Highsec and it would be unfair to not acknowledge that sacrifice. Well I heard James asked the miners of Highsec to vote and as they were ALL AFK when the elections were held... he voted for them....works for me. Not at keyboard? No vote. Like RL really: simple and fair to active players. Unless you propose bots to vote? The lack of an organized and central government of highsec, to the point where even the holding of a permanently binding universal election for the post of Supreme Leader of Highsec went unnoticed, was just one of the reasons why James' rise to power was not only just, it was necessary. The New Order and The Code does not challenge Empire law, rather, it works in congruency with it. Just as Local municipalities can have their own laws, but still be deferential to higher Sharia law (In Muslim countries.) Just the same way, The Code supersedes all applicable Empire laws, and is concurrently applicable with Empire Law. The rise of the Supreme Protector also HAD to happen, and if you'd been around at the birth of the New Order, you'd tend to agree, that the state of affairs at the time was.. to put it politely... truly horrid. Carebears and bots ran rampant with their smug entitlement; it was not an uncommon sight to actually see in upwards of 100 mackinaws in highsec belts mining ice 23.5/7. And of those few who were actual miners, (when they were at their keyboards,) they were a most foul and disrespectful lot, without offering a single "gf" after being ganked. In addition to this insult, the economic damage was becoming apparent in the reduced price of materials, and the miners, were themselves actively working to REDUCE the price of materials, so that they could earn less profit. Crazy I know, but life before the New Order was a pretty grim state of affairs. The Code exists, as we say every day, to save carebears from themselves. Mineral prices have risen under the New Order. Carebears are more polite and social, and bots are almost non-existent. The Glorious Election of the Saviour of Highsec happened. And YOU, Anon, 1:18 are benefiting from the daily sacrifice of the Saviour every day. Besides, the Code contains no legitimate basis, nor means, nor standing to challenge the Saviour of Highsec's election, so therefore, like all laws, you must live with it until you can find some way to change the result. Posax and his smartbombing maller bring the holiday spirits. Looks like that guy planned on being AFK a LONG TIME. Dat Retriever OMG. If you're going to have a billion worth of mining equipment, at least put it in a tanked Skiff or even Mackinaw. the competitors competed to their complete completion to compete against others insanely complete competitiveness.